Enviro Site Services specialises in the mechanical scrubbing of cool stores, workshops, warehouses, factories and shopping centres. Apart from the obvious presentational benefits, scrubbing is an ideal way to minimise the harmful effects of dirt, dust or other contaminants, or to attend to any spillages that occur in the workplace. 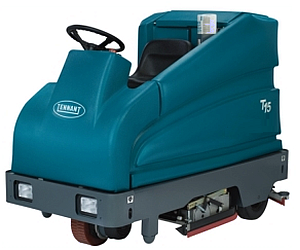 Our machines scrub the floor with rotating brushes, using 'MAF' approved detergents. The squeegee suction at the rear of the machine ensures detergent, dirt and grime is collected so the floor is dry within minutes. This significantly reduces disruption to staff, work areas and to public access. The result is a hygienically clean surface minimising the risk of harmful contamination and reducing other Health and/or Safety issues. 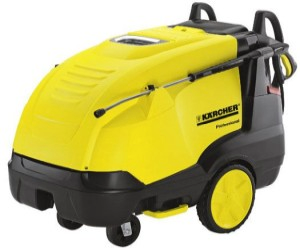 Enviro Site Services undertakes the mechanical sweeping of car parks, factories, warehouses and commercial buildings with 'low dust' rated machines. Regular Sweeping of premises is the most effective way of removing dust, dirt, small stones and leaf litter that inevitably accumulates over time in all such locations. 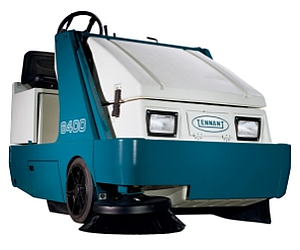 Importantly regular Sweeping will minimise the potential for any dust contamination that may occur in respect of your, or your clients, freight, stock, or outgoing products. Regular floor sweeping also assists in reducing down time and damage to your machinery by picking up foreign material and those small sharp objects that find their way onto the site. This is an important consideration for companies concerned with their corporate and public image. Enviro Site Services provides a range of services from lawn mowing to general landscape care for all types of commercial and industrial property. Organic rubbish removal, storm clean ups and other site maintenance problems can be readily addressed by our competent and professional site care crew. There are a number of related site and work place cleaning activities that are undertaken by Enviro Site Services. 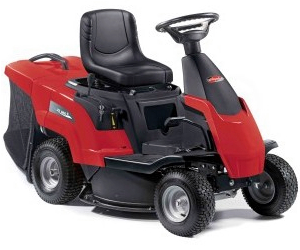 These are of a complementary nature to our sweeping and scrubbing operations, and are often carried out simultaneously. Water blasting is one example. There may also be a requirement for other on site services such as drain cleaning for which highly specialised equipment is needed. All these services can be arranged by Enviro Site Services as part of our 'One Stop' approach to facilities cleaning.